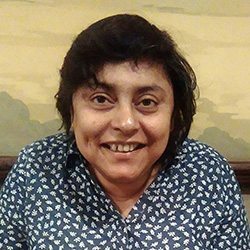 Nandini Bhattacharya is the Director of the Scottish Centre for Global History. Her writings have explored the histories of labour, markets, medicine, and the entangled connections of these between the colonial and the global within the British Empire. Her research expertise spans several specialisms: global history, imperial history, history of medicine/science, labour history. Her first monograph is titled Contagion and Enclaves: Tropical Medicine in Colonial India (2012). It studies disease control as a mode of colonial power, governance and intervention in special zones of economic interest and social habitation in colonial India. Her present research, aided by a Wellcome Trust fellowship, examines the history of pharmaceuticals in modern South Asia. This project explores the cultures of knowledge, production and consumption of therapeutic commodities in indigenous and western medical traditions in modern South Asia. Her forthcoming monograph is titled Disparate Remedies: Making Medicines in Modern India. Visit her webpage. explores how specific, local intellectual traditions and communities have negotiated globality. Visit his webpage. special interests include South African literature and film. Visit her webpage. Matt is an historian of modern, sub-Saharan Africa with a particular focus on South Africa. His research interests relate to national liberation movements; nationalism; and the development of post-colonial governance. In 2016 he published his first book, The Crisis of South African Foreign Policy and the ANC: Diplomacy, Leadership and the Role of the African National Congress. Matt is presently working on a project on Palgrave Macmillan’s ‘Contemporary States and Societies Series’ that will explore various aspects of Contemporary Africa. In 2017 Matt was awarded a British Academy Newton Advanced Fellowship along with Dr Lindie Koorts (University of Free State), for the project ‘The Age of Opportunism: Paul Kruger’s Transvaal, 1886-1899‘. The project will include a series of jointly held conferences, seminars, workshops and training sessions in both Dundee and Bloemfontein. Visit his webpage. Chris is an historian of early modern Spain, with a particular interest in state (and empire) formation, international relations (armies, diplomacy, war and peace) and the so-called “fiscal-military state”. Chris also retains a strong interest in Italy and specifically, the Savoyard state, which included the territories ruled by the house of Savoy, whose capital was Turin. In 2016, Chris published his most recent monograph, The Spanish Resurgence, 1713-1748, which offers a major reassessment of the leadership of the first bourbon king, Phillip V of Spain (1700-1746). He is currently on working on a number of projects, one of which, will see Chris expand his work on the “fiscal-military state” through an analysis of diplomatic relations between Britain and the Savoyard state during the long eighteenth century. Visit his webpage. 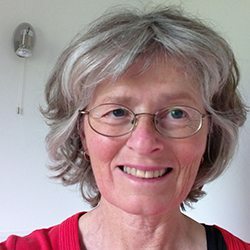 Martine specialises in Dutch overseas expansion during the early modern period, with a specific interest in its implications for political thought and practice. Much of Martine’s research has been centred around the figure of Dutch jurist, Hugo Grotius (1583-1645). In 2006, she published her monograph, Profit and Principle: Hugo Grotius, Natural Rights Theories and the Rise of Dutch Power in the East Indies, 1595-1615 (Brill: Leiden; Boston, 2006), which sought to place the rights and contract theories of Grotius within their immediate historical context. She is currently working on a book project which will examine further the transmission and dispersal of Grotius’ working papers. Recently, Martine organised the Scottish Centre for Global History’s successful graduate student workshop, Writing Global History and Its Challenges. Visit her webpage. Matt’s research is on early American history with a particular interest in the interactions between European and native peoples in North America. Having been the recipient of an AHRC research grant, Matt is currently working on a book project provisionally entitled, Making the Frontier Man: Manhood, Violence and Order in Early American Backcountry, 1730-1815. This will see Matt explore aspects of law, manhood, and violence in four U.S. states including, Pennsylvania, Virginia, Ohio and Kentucky. Visit his webpage. Felicia is a global historian of early modern Europe, concentrating on the development and impact of consumerism, commercialisation, and globalisation in relation to enlightenment France. She has recently published her monograph, Global Trade, Smuggling, and the Making of Economic Liberalism: Asian Textiles in France 1760-1860. Felicia’s research explores the impact of global trade on the early modern French state and its practices of policing, its industrial and scientific programmes and on the development of economic liberalism in the eighteenth century. Her current research is entitled, National, European, or Global? The Prussian East India Company and the formation of early modern European identities, and funded by the Leverhulme Trust. This takes Felicia’s interest in commercialisation, globalisation, trade and consumption beyond early modern France. Visit her webpage. Perry is an historian of modern Italy with a particular interest in Fascism and women’s/gender history. She has published a number of books and journal articles based on her research interests with her latest book, Women in Twentieth Century Italy (Palgrave Macmillan: Basingstoke, 2009), constituting the first book-length overview of Italian women’s experience during this period. Perry is currently working an AHRC funded collaborative project with Penelope Morris (University of Glasgow), focussed on representations of motherhood in Italy and its diaspora entitled, La Mamma: Interrogating a National Stereotype. Perry is also researching the history of the Fasci Femminili, with a specific focus on female hierarches at a regional and national level. Martin is a PhD Candidate and Judge Rosalyn Higgins scholar at the Law Department of the London School of Economics, and his current work is on conceptual histories in international and public law, focusing specifically on the interrelated ideas of the ‘international’ and ‘domestic’ in British legal thought. His research interests include the history and theory of international law, comparative public law, legal theory and historical theory.